Arthur J. Menor, Managing Partner of the West Palm Beach office of Shutts & Bowen and Chairman of the Real Estate Leasing Practice Group, closed a $108M deal for 1 East Broward Owner LLC, a joint venture between affiliates of West Palm Beach-based NAI/Merin Hunter Codman and PCCP, LLC. The 1 East Broward office tower is located in downtown Fort Lauderdale. SunTrust provided a $77.5 million mortgage to the buyer. The building, developed in 1984, consists of a 19-story tower, a five-story building and 772 covered parking spaces. The building houses prominent tenants, including several law firms. 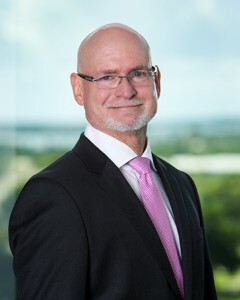 Those within the firm who provided assistance include partner Elizabeth Jones and attorney Eric Neumann in West Palm Beach; paralegal Sally Godfrey in West Palm Beach; land use planner Roger Ramdeen in West Palm Beach; partner Sidney Calloway in Fort Lauderdale; partners Bill Smith and Frank Rodriguez in Miami; and partner Mark Stevenson in Tampa. To learn more about the transaction, view the full article on the South Florida Business Journal website. Arthur J. Menor is the Managing Partner of the West Palm Beach office of Shutts & Bowen LLP, and Chairman of the Real Estate Leasing Practice Group. A nationally recognized real estate lawyer, Art has 37 years of experience in all facets of commercial real estate, focusing on commercial leasing and the acquisition and disposition of commercial real estate. He advises landlords and tenants in various aspects of the leasing process and also counsels developers, investors, and lenders. As a seasoned veteran, Art has worked on real estate projects of all sizes and has mastered his craft in improving the lease drafting and negotiation processes, including building and customizing high-quality lease agreements in a cost-effective manner.